Born and raised in New Orleans, Louisiana, Vincent LoCoco has counseled thousands of clients on a range of issues throughout his legal career, that now spans close to fifty years. 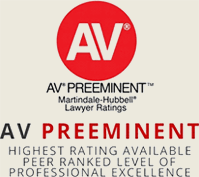 He is the founding partner of Many & LoCoco, recognized by Martindale-Hubbell as an AV® Preeminent rated law firm, the highest such possible rating available. Mr. LoCoco graduated from Jesuit High School in New Orleans in 1952. He attended St. Benedict Seminary in Covington, Louisiana and in 1956, he received his undergraduate degree in philosophy from Notre Dame Seminary in New Orleans, Louisiana. During the years 1956 -1958, he was sent by Archbishop Rummel to Rome, Italy to study at the Pontifical North American College. While there, he attended the Gregorian University in Rome, Italy where he obtained a degree in Theology in 1958. After much reflection, Mr. LoCoco left the seminary and pursued a career in law. He received his J.D. degree from Loyola University in 1962, where he was the Associate Editor of the Law Review. He married the former Lynda Goodier, and began his law practice and the raising of his family. For over twenty years, Mr. LoCoco was the special litigation attorney for the S&WB of New Orleans. He was the co-founder of the Many & LoCoco Law Firm which began in 1967 with the late M. Hepburn Many, a former US Attorney. In 1993, Mr. LoCoco's son, Vincent B. "Chip" LoCoco, joined the firm. Mr. LoCoco has argued cases in many Courts, including the Louisiana Supreme Court. 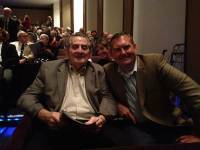 Mr. LoCoco retired from law practice in 2015 and passed away April 23, 2017. His son, Chip LoCoco, now runs the firm. Vincent is married and has three children and ten grandchildren. St. Benedict Seminary, 1952-54, A.A.
Notre Dame Seminary, 1954-56, A.B. Gregorian University, Rome, 1956-58 S.T.B. Pamela LoCoco Montz, B.A. M.B.A.
Elizabeth LoCoco Doody, B.S., M.B.S. Vincent Benedict LoCoco, B.A., J.D.